Simpson Heating & Air is proud to serve the Baltic community! 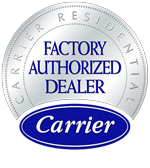 About Baltic, OH - Happy to be your hometown Heating & Air Conditioning Contractor! 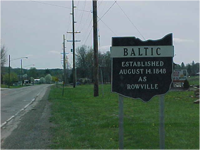 Baltic is a small Ohio village with a population of fewer than 800 residents. It is located in portions of Tuscarawas, Holmes, and Coshocton counties, and it is most well known for being the publishing location of the Amish community’s Raber’s Almanac. The community has many Amish residents living in and around the village, and its most recent claim to fame was the filming of an episode of “Vanilla Ice Goes Amish” in the community. The weather of Baltic is affected by the Great Lakes, so while summers are hot with high humidity, winters are usually snowy and cold. Baltic is a tiny village that is not home to any major attractions. There are a few notable restaurants located in this community, including Millers Dutch Kitchen and Fox’s Pizza. Attractions and sites are located in neighboring communities, including the Walnut Creek Amish Flea Market and The Farm at Walnut Creek, both of which are found in Sugarcreek. Raven’s Glenn Winery is also located in West Lafayette, while the Historic Roscoe Village is found in Coshocton.